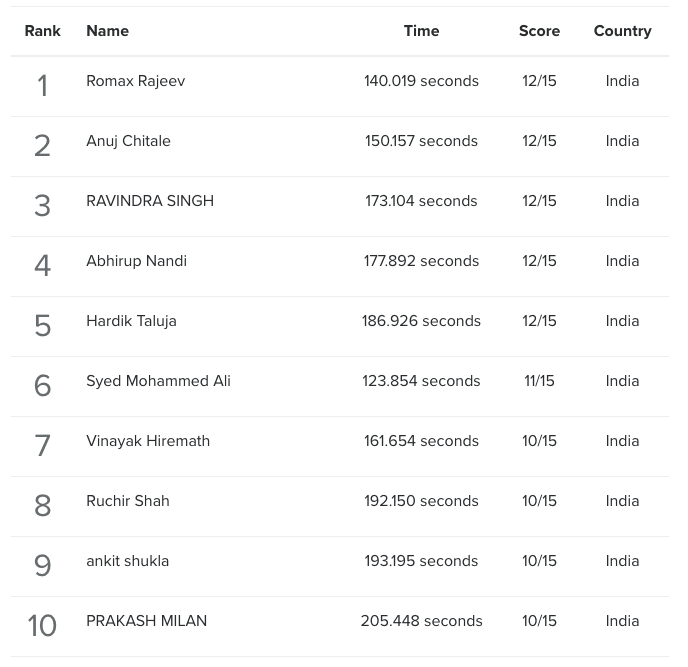 List of top scorers of the quiz themed 'General Trivia' is as below. We are looking for feedback on improving Quizzr. Anything you say is read and noted. What are the things we could add / remove to/from Quizzr? How's the quality of questions, anyone?